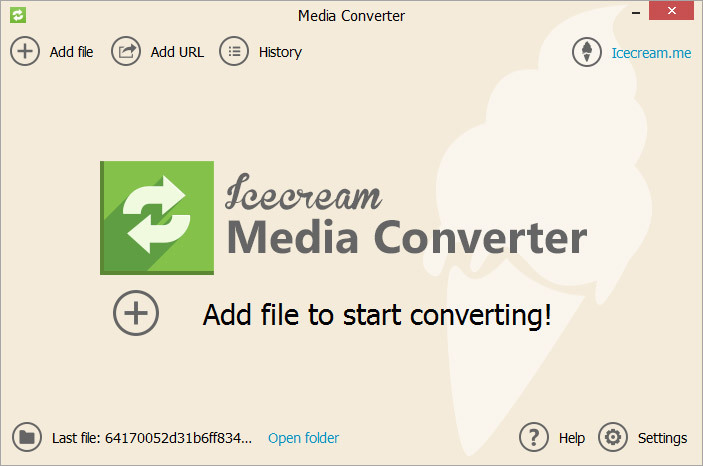 Meet Icecream Media Converter, one of the most powerful and user-friendly media conversion tools that supports major and popular audio and video formats. The program also allows you to download YouTube videos and convert them to AVI, MP4, MP3 and other formats. 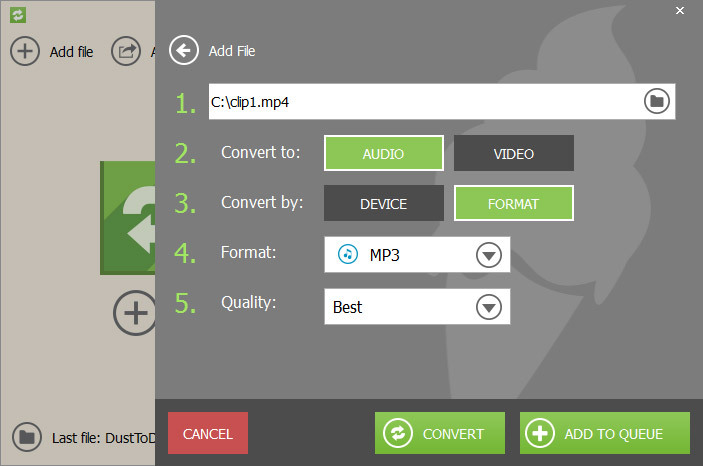 Its intuitive interface makes conversion of AVI, MKV, MP4, WMV, MP3, WAV, WMA and other files to any audio and video format easy for everyone. Find converted files easily in the 'history' section of the program. What else makes Icecream Media Converter so special? 3 conversion modes: video to video, video to audio and audio to audio. Do you still have questions about the Icecream Media Converter?